How will you feel when you use a phone with a massive 20,000mAh battery capacity? 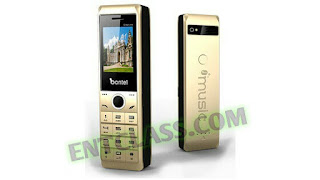 Bontel Great One has been officially launched. It has a 2.4inches non-touch screen display, and packs a massive 20,000mAh battery capacity, that is said to keep the phone going in Standby for good 90days (3 months) if it's fully charged. Isn't that interesting? Let me say, if in real life use, like a normal usage, this battery should last for nothing more than 60 days (2 months). Though, it's still very cool. Apart from the battery capacity, there's nothing special about the specifications of this phone. Bontel Great One came with an alpha-numeric keypad. No support for 3G and 4G service, has a Dual Sim slot and running on Java operating system. Kindly see rest of its specs below. I like the phone because of the battery which is up to 20,000, the touch and FM. please where can I get it and how much is the prize now? I'm residing at Enugu. Check some popular phone stores in your state. I'm sure you would see it. What's its price in Bangladesh? ?